It’s Lissa‘s birthday! Despite the fact that we’re a few states away from each other these days, I’m celebrating with her bourbon slushes. 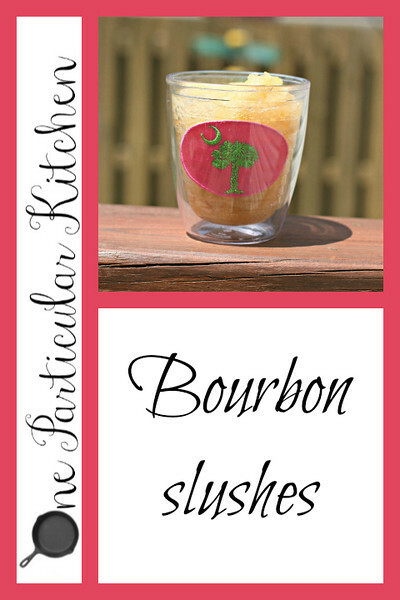 These are such a great hot-weather drink, and are easy to make for a crowd, something Lissa almost always has at her house. 🙂 You should keep these in your freezer this summer! What are other summer drinks you love?? Hahaha! I know! They are SO GREAT! We need this and guac, ASAP! You are speaking my language, girl! So, I may have to route my long bike rides in the summer by your house and raid your freezer to um ‘cool off’… But then again, I don’t need a B.U.I. Or just call someone to pick me up lol! Thanks Mimi! Wish you were here for a toast to the birthday girl. Enjoying my birth month celebration!